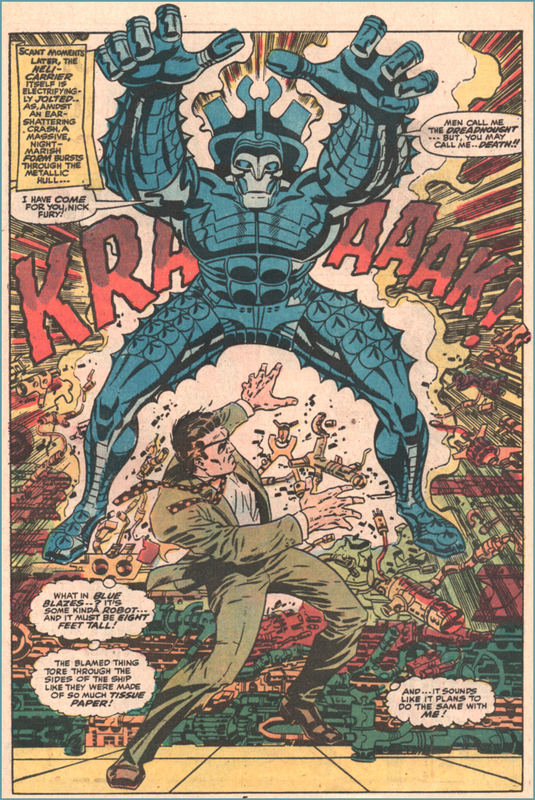 This week’s Sunday Scan features an explosive full page splash by the legendary Jim Steranko. This page is from Marvel’s Strange Tales #154 (1967). Story and art by Jim Steranko with a script by Roy Thomas. Click for higher resolution version. « YouTube Show? YouTube Addict? I wonder if anyone ever said “what in blue blazes?” in real life. I actually HAVE but only because I read it in a lot of old comics!